As bloggers, we know that a quality email list is one of our most valuable assets. It allows us to engage our readers, build a loyal audience, and monetize blog traffic. But, what’s the quickest way to grow your email list? Think you need dozens of tools to get the job done? Think again. I wanted to know plain and simple which tools the experts were using to grow highly engaged email lists, sometimes numbering in the hundreds of thousands of subscribers. Read on to discover each expert’s favorite three tools, or simply click the name of the expert whose response you are most interested in. 1) OptinMonster – All of my websites run on WordPress and this is the most effective list building plugin available. The idea here is to use it to put opt-in forms in the right places. This makes it easy for my visitors to subscribe. I can also run split tests and other cool stuff too. 2) LeadPages – There are 3 key things I use LeadPages for, firstly it allows me to create high converting landing pages fast. There are no traffic limits or anything like that. I can create however many I want, there’s a WordPress plugin too so I can upload the pages directly to my site (HTML is supported too). I can run split tests too. LeadPages has a feature called LeadBoxes, this allows me to generate a link that can be placed on ANY site that supports HTML – when someone clicks on the link they see a popover. This allows me to use ‘content upgrades’ in my blog posts where I offer a relevant bonus to readers when they opt-in. See this post for an example. The other reason I use LeadPages is because it handles the delivery of the free stuff I give out to my subscribers, whether I’m using a LeadBox or a Landing page, I can select a file to be delivered via email to anyone who signs up. 3) Hellobar – Giving your readers something in exchange for their email address is a common tactic, but it’s important to keep it relevant. Hellobar allows me to setup notification bars that are post specific. So if I want to promote a landing page with a guide to list building, I can get this to appear on all of my posts about list building. Without a doubt, investing to grow your email list will be the best investment you’ll ever make. I don’t usually use many tools as I like to keep my tools simple. These are my three favourite tools that have brought me the best results. This is the first thing that readers would see when they visit your blog. This is a must! I just implement this on my blog I saw my the percentage people people subscribing on blog increase dramatically. If you could only implement one idea. This should be it. I love this wordpress plugin. It allows you to create professional looking sign-up forms with a few clicks. Not only that, you’ll also be able to install the signup forms anywhere on your blog without any hassle. It comes with easy to edit templates so you don’t need to worry about the designs. What I also love about OptinSkin is it complete with an analytics which you will be able to split test and optimize on the best sign up form. If you use this platform well, it can easily be a great tool for you to grow your email list. To give you an idea of how powerful Facebook is, 80% of Post Planner’s readers comes from Facebook. We’ve been using this platform to continuously grow our email list of years. First, you need a content hub to attract new subscribers. So first we need to built an online location that is the leading source of information for that particular niche. Second, once you get people to the site, the call to action needs to focus on signing up for the newsletter. We use Pippity as our popover to new site visitors. This is where we get more than 50% of our daily signups. Third, we see a lot of potential in SlideShare. SlideShare allows you to ask people for an email address when they want to download a presentation. This has really worked for us and seems to be becoming even more important to us. 3. I’d consider “content marketing” as a tool, as this can extremely help in the process of continuously acquiring relevant traffic which you can eventually turn into email list subscribers. 1 – OptinMonster – An awesome tool by my good friend Syed. You already have a ton of traffic coming to your site, so why not get them on your list in the process? Also great for split testing and seeing what images and ad copy works best. 2 – LeadPages – If you are doing anything with Facebook Ads and webinars or email lead gen, LeadPages makes this process very easy. I also met with Tim Paige while at a conference and he was a great guy, so always good to see good people at good companies. 3 – Aweber / MailChimp (or any mailing host) – At the end of the day you are most likely going to choose a list host to keep all your emails in check and have a way to send them out in a mass scale. In short, most of them are all the same, just check around for prices and features that you like best. I don’t need three tools, just one: ConvertKit. Inside ConvertKit I can create landing pages and opt-in forms, setup drip email sequences to build trust and pitch products, and send one-time broadcasts. It’s got everything I need to build a list and sell products. I guess a second two would be a WordPress blog. Blog posts are a good way to get traffic to convert people to your email list. Optinmonster – I use the popup with ‘exit intent’ set up so that when a user is leaving the website they asked about subscribing. This gets good conversion rates. Ontraport – This is an excellent marketing automation tool that manages all our email subscribers. Optimizely – I use this to split test my optin boxes which is something really essential. I’ve recently been getting really into list building on one of my niche sites. There’s this one post on a men’s fitness site of mine that gets 1.5K visits each day. Rather than explaining what each tool does I’ll explain how I use them to get 40 subscribers a day. 1. LeadPages – Throughout the blog post I connect with a number of major pain points men are experiencing in pursuit of their goal to get ripped. Each time I hit a major pain point I include a call to action box (they’re kinda like adverts) – the headline of each box is a question, e.g. “Arms Not Getting Bigger?”, and under the question is a simple call to action – “Download this proven plan to get arms like Arnie”. When you click the box to download the plan an opt-in form pops up requesting your email. There are about 5 of these calls to action throughout the post, each targeting a very specific pain point. Button Hack: I’ve found that if you write “Send me the plan” on the button of your opt-in form people are more likely to use their real email rather than a fake one (because they realise the plan must be sent to them and can’t be accessed instantly). 2. SumoMe – A FREE plugin you can use to create exit intent opt-in forms to capture those last minute leads. This captures about 6 new leads a day from that one post I’m talking about. 3. AWeber – I grow my email list within AWeber by getting my subscribers to introduce new subscribers to the list. What?! I do this by giving my subscribers “cheat sheets” to download to their phone as part of the free content I give away when they sign up. These cheat sheets are a simple list of do’s and don’ts to remind them how to do a particular workout properly in the gym. At the bottom of each image is a nice big link to a Landing Page (made on LeadPages) to capture people into the same list. So, whenever one of my subscribers shares a cheat sheet with their gym buddies on Whatsapp or whatever, they are effectively sharing the link to the same landing page they signed up from. Their friends then go to this page directly and end up signing up to the same list! 1) Mailchimp for WordPress It adds an option to subscribe to your email list when replying to comments. It’s a very handy and easy plugin! 2) Leadshare: I am pretty active at Slideshare and Leadshare helps me generate additional leads from my presentations on any topic. I can then import them into the corresponding Mailchimp list quite easily (You need to explain what they are subscribing to right within the Leadshare form)! Also, Leadshare is free for everyone (since Slideshare discontinued its free offering). 3) Facebook Custom Audience has been a great way to re-engage my list on social media (and thus improve the response rate). 1. Twitter ads but using Custom Audiences based on this that have recently shared any of our content. 2. Twitter retargeting – serving our content via ads at people that have visited our site recently. While the three things above are not ‘tools’ they have proven to be effective for us in driving sign up to our monthly editorial newsletter. 1. ManyContacts – it is an easy to setup pop-up bar at the top side of your website that can easily be seen by your visitors. It also has a platform where you can easily export emails with details of each of your subscriber (email, device used, location, etc..), which you can add to your email archives. 2. Q2W3 Fixed Widget – fixing your widget whether it is on the left or right sidebar of your website can help your resources/pages to get traction, as readers can still see/click on them even if they’re reading content that is below the fold. 3. GetResponse – there are many other email marketing tools but GetResponse is my way to go when choosing an easy-to-understand email platform. 1) Opt-in Monster – this is the plugin that I use across all of my WordPress sites to encourage email sign-ups. It allows you to display subtle call-to-action forms at different points in the user journey to encourage them to give you their email address. It’s by far the best plugin I’ve used for this. 2) Rafflecopter – competitions are an incredibly easy way to increase your email list. I recently ran a competition on my food blog that helped me increase my email list by over 1,000 new people in under 3 days. Not bad. 3) Facebook Ads – the large majority of email sign-ups that I get across a number of my blogs will come as a result of remarketing through Facebook Ads. I love them! 1) Mailchimp – (obviously you need a EMP for any kind of list development and nurturing, but MC gives you a lot of cool tools to help drive sign-ups and the autoresponder functionality has been great in getting people who have *just* opted into one of my lists to opt into another. 2) Gumroad – Gumroad is a “sell stuff online” tool but I actually use it for list growth more than anything. I give away a lot of my spreadsheet templates and macro’s for free but require people to download them through Gumroad, the initial reason was for security but it’s become a great source of new email sign-ups each month. 3) About page – My about page converts 10x more email sign-ups than any other page on my blog, and I think this is because I’ve spent a *lot* of time tweaking and testing the layout, the language, and the amount/type of content I display there. While this isn’t a piece of software, it’s one of the most important tools in my online toolbox. One strange data point I will share is that even though I have a dedicated page for email sign ups, more visitors convert on the about page after visiting my join page. 1. Easily the number one most effective tool for growing my email list so far has been Twitter lead generation cards. They’re a little new (well new-ish), so a lot of people aren’t using them. I think that’s been helping. There’s a novelty factor right now. People want to see what happens when they click the button (which of course instantly places your email address, name, and Twitter username into my Mailchimp email list). Also, most people don’t realize, because the lead gen cards are a part of Twitter’s ad platform, that you don’t have to use them with ads. They are free to use alongside organic tweets. That’s mostly what I’ve been doing. Of course, already having built of sizeable Twitter audience would help with that. 2. People don’t realize, but you don’t need any fancy plugins like OptinMonster, OptinSkin, or OptinWhatever to add subscription forms to your blog. Most people are using those to gain affiliate revenue. You can use a plain HTML form, spruce it up with some CSS and drop it into Single.php in your WordPress theme to have it appear after your post. It seems to work just as well as OptinWhatever. Go ahead and play with this, A/B testing it with in Optimizely or Google Content Experiments. You can also use Crazy Egg or SumoMe Heat Maps to more easily optimize the placement of these forms. 3. I’m a stickler for free stuff, and Noah Kagan’s SumoMe suite of free subscription tools are awesome. It’s very easy to add a smart pop-up or slide-in to your page, and “Leads” add-on is absolutely amazing! Use it to add content upgrade incentives into your post in order to gain email subscribers. Brian Dean does it on his blog with LeadPages on his site, but SumoMe Leads is a great, more cost effective way of achieving the same thing. 1) Mailchimp: Probably doesn’t need much of an introduction. A simple but powerful email marketing tool that connects with heaps of other services. 2) One of the those being Capsule CRM. As a training company, many of our email subscribers are customers that we’ve met in person. Capsule CRM makes it easy to export them into Mailchimp. One feature I particularly like is that Capsule lets you filter contacts by tags and dates – and then export them into a new Mailchimp campaign e.g. we regularly setup a campaign to email an offer to people that have been on an SEO introduction course within the last 3 months but have not yet been on the SEO intermediate course. This works really well! 3) Expanded Guest Post (EGP). This is more a technique than a tool and one I plan to try soon. Bryan Harris from Video Fruit (Twitter hat tip to Brian Dean) shows how you can write an example and storytelling based guest post with a content upgrade hook. Bryan says he routinely gets 500 new subscribers in a week from EGPs and when done the right way it makes guest posting 100x more effective. 1) MailChimp, I love MC, the templates, tracking system & integration is fantastic. As well as their support being fantastic. 2) Ninja Popups, along with all of their addons. You can make email signup forms to go all over your site, popups, sidebar ones & more. 3) Hellobar, it’s fantastic for not only your email signups but for converting users to any offers, coupons etc.. that you may have. There are really only three elements to it. A way to generate traffic, a way to capture leads, a place to store them. The first is an email autoresponder. I use Aweber, because I am familiar with them. I don’t swear by them or anything, and I haven’t tried most of the others. But naturally, you’ll need them. The second is a lead capture tool. The most effective/robust is probably Lead Pages. The ability to create landing pages and lead boxes is super versatile compared with any other opt in mechanism. The last is a way to generate traffic, which I would probably rank paid advertising as the top i.e Google Adwords. A killer First Impression Incentive (opt-in offer or ethical bribe) that really speaks to a visceral problem or need that your audience experiences. A well-constructed landing page with a clear call to action, good description of the benefits your inventive offers and an insightful picture of the reader’s situation before they have the incentive, and after. A split-testing software like Optimizely or Visual Website Optimizer so you can quickly optimize your landing page to achieve the highest conversions. This is particularly important to add to the mix early on so you can get every visitor possible to convert onto your list. There are a ton of free and paid WordPress form plugins available, but I like Contact Form 7 because it’s dead simple to use, has enough options and features to suit most user’s needs and integrates well with many other WordPress plugins. Another big benefit of Contact Form 7 is that it is one of the most popular WordPress form plugins available, which means that updates and bug fixes are more frequent. Also if you have any issues, there is a good chance somebody else has run into the same thing before and has a documented solution. Plus, it’s free! Woobox is a useful tool for converting social followers into email contacts through social contests and offers. A subscription gets you access to a collection of apps that integrate seamlessly with your social pages and allow you to easily run photo contests, sweepstakes, polls, pin to win contests, quizzes and much more. We’ve used it in social campaigns for our clients and have found it to be effective for growing followers, building email lists, promoting events and even generating sales. This answer may be cheating, but a good marketing automation platform can truly supercharge all aspects of your email marketing (when used effectively). Whether list building, nurturing leads through to conversion, or even retaining existing customers, marketing automation can really take it to the next level. There are many great options available, but some key considerations to help businesses make the right choice are budget, ease of CMS integration and available resources to manage the platform, as the more complex platforms require a dedicated internal or agency resource in order to get the most value. If you’re interested, check out this post on choosing the right marketing automation solution. That said, I think that a solid content strategy, effective promotion and a good understanding of your target audience and what kind of offers are likely to motivate them to share their contact info are absolutely essential to building and getting business value from your email list. Without those key components, the best tools in the world won’t get you very far. For WordPress, I’ve tried various popups, but I’ve settled on OptinMonster and they just released a bunch of new features. I don’t like the blue widget that Sumo Me forces on your website, and prefer an option that doesn’t use iframes to load the content (doesn’t play nicely with our marketing automation & lead tracking tools). After being a customer of Aweber, Mailchimp, Constant Contact, my emma, Eloqua, and a few others, I’m a devoted Mailchimp fan. I’ll take a nearly perfect UX in exchange for 10% higher prices any day. Their new automation features has them in the same leagues as many of the larger marketing automation tools in terms of trigger abilities. The third tool, if you can call it that, would be contests. Nothing gets people motivated to give out their email address like free stuff. Don’t give away iPads or other junk – make sure it’s either your product or something that has to do with your business. Otherwise the contest isn’t targeted enough to be worthwhile. It’s a free optimization tool that allows you to drive your traffic to specific pages, points your visitors to your social media channels and helps you to collect email addresses. We all know that color schemes can have a significant influence on conversion rates and by this tool you can easily change the color of your Email bar that is placed on top of your page, as many times as you want. The thing that I like most about this tool is that it can be easily customized and integrated with your site. I always recommend this tool to all my friends and clients. It’s a bit expensive but serves many great purposes like, managing your landing, webinar, registration and Signup pages. It also obligates the users to provide their email address if they wish to access useful resources on your web page. The best way to grow your email list is by adding a “Pop-up.” I know, people are not fond of this but there are many case studies that prove that if a pop-up is used on the right places and at the right time you can accomplish huge success. This tool shows the popup that appears when your visitor is about to leave your page. For instance, when your visitor is about to click the back button, the popup appears and asks the visitor to enter his email address. 3) Google Analytics. Without knowing and analyzing your key site and page metrics, visitor interactions and traffic sources, its really hard to know the performance of your opt-in rate for your email list, and to measure the downtstream impact of your opt-in tests/improvements on other goals like sales. For example which pages convert best and which traffic sources need tweaking more to boost opt-ins. Your list building efforts are blinded without knowing how to use Google Analytics properly and gaining great insights from it! 1) I would set up a MailChimp account, for free. It’s the industry leader, it’s the best performer (in my experience) and it’s the most pleasant to use from a UX/UI standpoint (which matters a lot to me). It’s also entirely free from the get-go, up until a couple thousand subscribers. It’s a “no-duh” piece of software. This let you easily segment your lists depending on sign-up locations, or sign up types. If you have email resources to push subscribers – like Bidsketch does with their proposal templates – you can easily segment the users that sign up there, apart from the users that sign up straight from your blog. This way you have more targeted lists to re-market to, it just gives an extra layer of flexibility to your email marketing. 2) I would set up ManyContacts on my site to push signups from any page on my site. Jason Acidre already put together a pretty thorough post on this tool on his blog, but essentially it’s a bar that will stand stationary at the top of your site as the user scrolls. It’s a pretty obvious call to action, and has lead to a vast increase in email sign ups for thousands of sites. The beauty is, this tool has a nice admin panel whereby you can view analytics of the amount of new contacts you get, and the integration with MailChimp automatically imports any new contacts into your designated list. 3) I would then set up List Builder from SumoMe on blog pages. Noah Kagan and his group at AppSumo have put together this awesome little pop-up tool that will show over the center of your screen asking you to sign-up, or you can easily click outside of the box to cancel it out. The thing is, initially all of my clients would say “I don’t want a spammy pop-up on my site, people will hate us!” But truly this has had tiny effects on bounce rates (meaning people aren’t really leaving because of this, they’re simply clicking the box away) yet they’ve had a massive effect on subscriber sign ups. List Builder also integrates with MailChimp, so all of these 3 tools work seamlessly together. All you have to do after getting these set up is to start generating awesome content to rank organically, and get the traffic to convert into subscribers! That’s the fun part. Using landing pages and opt-in pages is one of the best ways to grow you email list, and to do that quickly and easily, I always use OP. It’s a powerful tool that’s easy to use, yet produces some beautiful pages with no coding skills. I have used AWeber for years and have recently started using their pop form with great results. If your goal is to build a large list, then you need a service that has the tools to help you do that. One it is one less plugin you need, all you need to use it is a line of code. Not many people use it. This helps my pop stand out and be more effective. I mainly use OM for their slide in footer form. Again I like them because their forms look good and they are different then what is being used on many blogs. Simple to set up and they look great and so far, the form is producing nicely. In my book, I liken an email list to charging a battery. You have to charge it before you can use it and it loses charge over time if not “topped off”. Charging the battery requires content, a destination, and a call to action. For content, we love transcription services. Transcribeme.com is one of many that can turn video, audio into text. We use the contentcascade.com to create top-shelf content from webinars. It’s a transcription service on steroids. For destinations, nothing beats WordPress in our opinion. We recommend a separate site template for phone visitors, not responsive templates. The WP Touch plugin is an easy first step. Hootsuite.com is our choice for sharing content on social media. 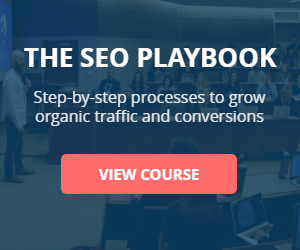 For calls to action, we have had good success creating a mini course on our blog at conversionscientist.com. The BadgeOS plugin has been very effective for us. We also use a CommerceScience.com exit overlay to grab more subscribers. Windows Live Writer for composing and posting content (sorry Mac people). Mailchimp.com is our “subscriber battery”. Awesome features at a great price. Disclosures: My company is a partner in Cascade Content. We receive a free account from Commerce Science. Your email list is the core of your marketing strategy.Your subscribers are your loyal fans. They first read your new articles, they can evaluate your new products or they may give you a feedback on a particular new project. First, you should choose an autoresponder service. There are many available online, both free or paid.I use Aweber : excellent service, awesome graphics, useful tools to manage your mailing list and great email tracking. Then you need to build a catchy opt-in. You should simply use Aweber to create nice graphics. Or go for plugins like “Genesis eNews” (for Genesis Framework users), which is simple, but attractive. In alternative, “Optinskin” offers a similar solution, but with different graphics to choose from (included social media buttons with some skins). Both can be used to integrate your favorite autoresponder service. Finally, you should build an effective landing page. I suggest “Premise”, from Studiopress. It’s versatile, fast and easy to use. You can create a professional landing page without any special technical skills. With these three tools, you will be right on your way to grow your email list! And finally if you want to build optin forms that you can integrate with your website and which also integrates with GoToWebinar then I use and recommend LeadPages – and as a bonus they have their feature of LeadBoxes which can be used to enable people to opt in for your lead magnet e.g. a special report from within an article or blog post or on the side bar of your site. 1) SumoMe This one is a bit of a cheat since they have several free tools listed here but it’s a great overall resources for list building that I use right now. If I had to pick just one under SumoMe it’s “ListBuilder” which is a smarter and more subtle way to prompt visitors with a popup + incentive. 2) KISSmetrics – This is how I track experiments and look at my signup funnels. You can’t do a good job at finding the ways to get biggest gains without knowing what the impact of your changes are. 3) Qualaroo – I use this to run microsurveys to help me figure out the best incentives I can use to drive more email signups. Aweber – because they have a high send rate and their servers have good initial filters – mostly because their service is paid from the very start. Unbounce – because of the awesome templates they have for building an email list through giveaways. And you can optimize for conversions using A/B/n testing. Qeryz – just because it can collect email addresses 300% better than a normal pop-up. It’s going to have automated integration for Aweber, Mailchimp, Benchmark and other email marketing platforms soon. 1) An Opt-in popup tool on your website. Use one that’s got customizable features like Pippity or Optin Monster. You can design how and when visitors see it, which makes it less invasive than traditional popups. 2) Offer something your ideal customer wants in exchange for their contact info. Figure out what your customers’ most frequently asked questions are and compile them into a PDF with all the answers. They’ll remember you took the time to answer their questions and you may even teach them something they didn’t they don’t know! 3) Repurpose your blog content into an eBook and create a “signature promotional giveaway” on Facebook. You’ll collect their contact info using an app such as Woobox, Shortstack or Leadpages, depending on your budget. You can also use Facebook ads to drive people to the app, which will increase your success. I do not have an email list. I can’t do everything, so I choose not to do email marketing. I’m on Twitter, Facebook, LinkedIn, Google+, YouTube, Vimeo, SlideShare and a few others but no email list. 1) ManyContacts – Easy to install WordPress plugin that gets people to subscribe and gives you good info on their particulars. It’s perfect for SMEs and hobby bloggers who are just getting started on list building. 2) MailChimp – It’s populat among bloggers and SMEs for a reason: it’s easy to get into and it provides adequate email marketing features. I like how even newbies can start designing their own newsletters within hours. 3) GetResponse – for marketers running email marketing operations with tens of thousands of subscribers, GetResponse gives you a more robust array of features. I’d recommend it to folks who are in the medium to enterprise-level email marketing scene. >That said, tools are only a means to an end. Building a quality mailing list is still about content, establishing a connection between your brand and its audience, and treating your list like real people rather than statistics. I like Aweber because it allows you to have different forms across your website and get analytics for each one. Two WordPress plug-ins worth considering are LeadBrite’s WelcomeGate which can deliver very high conversion rates and LeadPlayer which allows you to collect e-mails using video. 3) A Lead magnet that you can use to capture the traffic from #2. There a handful of tools that can help ease this task of obtaining new customers, but there is one tool in particular that is being the talk of the town for being a streamlined tool that helps advertisers find and connect off-Twitter with users that are interested in their messages, which can come in handy if making business if the goal: Lead Generation Cards. Lead Generation Cards is the perfect tool for new or struggling eager online business owners who have taken the challenge of making their way via the internet. It is pretty simple to setup. It just takes a couple of minutes from start to finish. You can download your leads straight from Twitter Ads into a CSV spreadsheet or make an arrangement so that incoming leads can be instantly updated in your CRM system. At the moment, this powerful tool has many positive online reviews. It does exactly what it promises: generate leads and increases email lists. Falling behind technology won’t do your business any good. How many times have you walked into a restaurant, mall, or hospital and seen people on their tablets or mobile phones checking out the latest information on the World Wide Web? Probably you seen that numerous of times, huh? This is because most people are very interested in being informed with the latest information on their favorite things, including new information about online based businesses. For this reason, it is important that you keep each visitor coming back. How can this be achieved? Well, it is quite simple. All you need is to get them to provide you with their email with the help of a popup notification. There are many online tools that can help you with this task, but there is one that stands-out for its innovative approach: SumoMe. With the help of SumoMe, you can easily increase email subscriptions. You’ll easily be able to convert one-time visitors into lifelong readers and newsletter subscribers. It has easy newsletter integration with Aweber, Campaign Monitor, Constant Contact, and MailChimp. I know I am biased because I am the Inbound Marketing Manager at PageWiz, but using the correct landing page generator can allow you to grow your email list, build more meaningful and longer lasting relationships with new clientele. Let’s face it; beauty sells, and beautiful templates have a better conversion rate. Everything you need in order to increase your email list is out-there within your reach. PageWiz plans include an unlimited amount of A/B testing. PageWiz created delightful and professional templates that you can use on any one of your lead generation campaigns. Within minutes, you can literally have a landing page campaign up and running on the internet. For a hassle-free email list, I’ve found Aweber invaluable. It’s not the cheapest option out there, but I love the wide range of features, the comprehensive help pages, and the way it works fairly intuitively. I use Premise (which is sadly no longer available to buy) for landing pages to encourage people to join my email newsletter and my On Track email list (see #3). If you bought it a while ago, do give it a try: it’s an easy way to create quick, clean landing pages. When I started building my email list, I found giving away free ebooks made a great incentive. Now, I also give away a whole ecourse (On Track), which is delivered through membership site software Digital Access Pass (DAP). If you own Premise, you can also use that to create a membership site. 1) Big CTA above the fold on blog home page. 1) Optinmonster – This is an all-in-one solution for creating opt-in forms and adding popups on your site. I use this plugin on all of my WordPress sites and it helps me get more email signups. 2) Many Contacts – It adds a beautiful popup bar at the top of your site. It has only been three days since I started using this on my site and it has already lead to a nice increase in email subscribers. 3) OptimizePress – I use this software for building landing pages and membership sites. Big shout out to everyone who contributed to this gigantic roundup. Please share if you found it useful! Also, makre sure you connect with me on Twitter or subscribe to my email list for more exciting interviews and actionable online marketing strategies that will help you build links, drive traffic and increase conversions. This is an awesome expert roundup. Full of experts. I am working on an expert roundup too. I wanted to ask an off topic thing. How do you make that yellow box in which you concluded the votes? Cool! No worries. Keep it up. I noticed you’re using Sumome for list building. Curious, which tools are working best for you – list builder, leads, smart bar, scroll triggered? I think these 3 tools are enough to make a huge email list. a huge list of tips for building email list here. Thanks for including me, Robbie. What theme are you using for this blog? any suggestions for fitness blogging theme? As for fitness blog themes, check out Themeforest. Wow! Loads of info, great stuff! Particularly interested to see #18 ‘SEO Nick’ as I’m using Gumroad to give away a free book and it’s also a sales platform. Can’t figure out how to integrate the Gumroad followers into Mailchimp, as Zapier will only export customers to Mailchimp. So my raison d’etre of gaining subscribers by giving away a free product on Gumroad sort of falls flat, unless I manually import the followers in Mailchimp. Am I missing something, or does Nick wait until his followers make a sale, and then their email list is sent to Mailchimp? Great question. I haven’t done much with Gumroad myself. My first thought would have been to look at Zapier. I’d ask Nick how he is doing it over at http://seoauv.com/.